Here’s another photo from Tashiro-jima island in Japan. 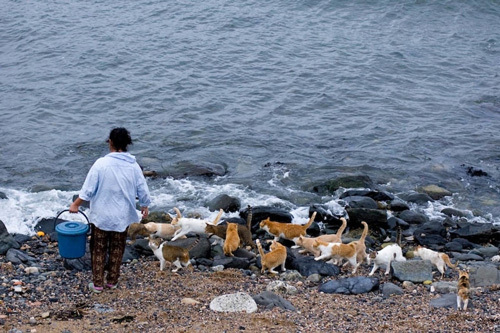 It’s also called Cat Heaven Island. 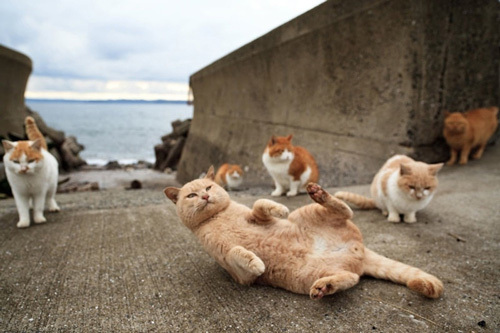 These well fed kitties seem to think it’s heaven. The Smartest (and Best Cat Ever!) I’ve ever known! Meet Buster, a.k.a. Gus. 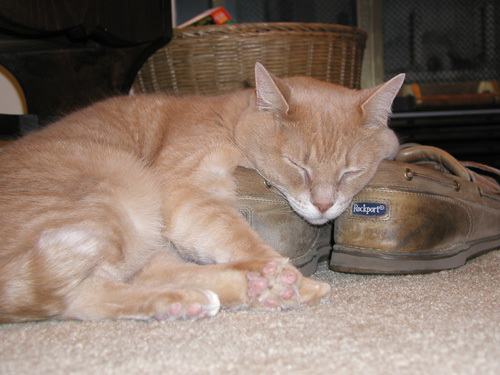 Buster came to us as a grown-up, scruffy, overweight cat that regularly snorted with disdain at all those around them. He had been an only cat in his previous house and wasn’t at all certain that he cared for a home where there were other felines. Actually, at the time, there were five other cats in his personal space! But, after a short time, he decided that life with his very own couch and heated blankets was very good and with a terrific health plan, what more could he possibly want? Don’t forget the importance of regular health check-ups for the more mature cats in your house, including dental exams and cleanings. Any question, especially soon after a meal, was always best answered with a nap. Naps are so important; however, whenever his favorite persons were home, it was always time for another meal and Buster was always at our feet with that very quizzical look. 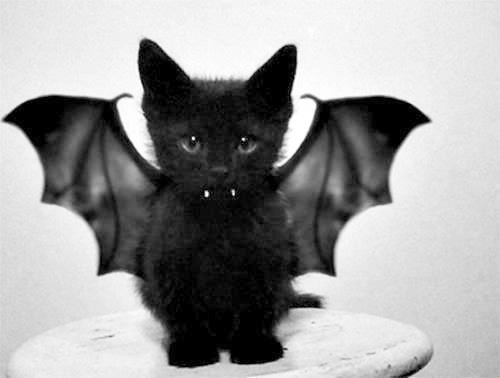 Did everyone have a nice Halloween?